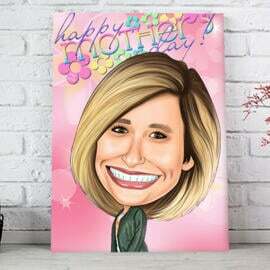 Order a custom print on canvas from a hand-drawn portrait drawing. 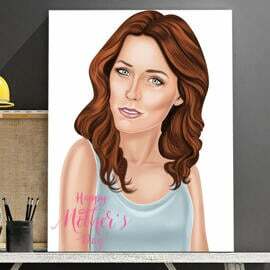 Portrait will be drawn from photos in colored pencils style by Photolamus artist. 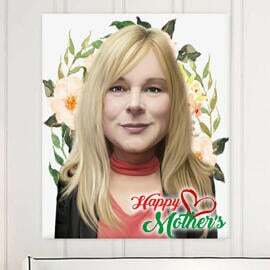 We will add any decorative flowers and text of your choice on your drawing in honor of Mother's Day. 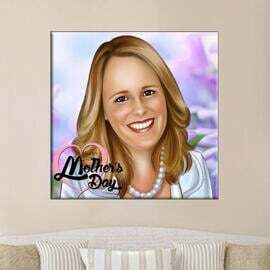 Portrait will be delivered as JPEG FIle for your approval and then delivered by post as Canvas print of any size of your choice. 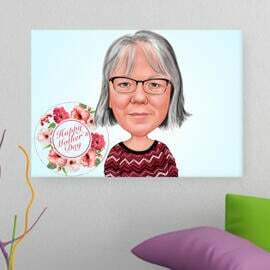 We offer different shapes for printing on canvases, such as horizontal, vertical and square shapes which will be suited for any design of room. 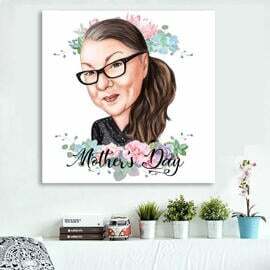 With such a customized drawing of portraits from photos, you can make an incredible and very cute gift for your mother and grandmother on Mother's Day. 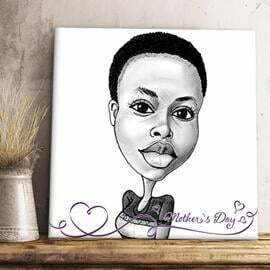 You only have to upload her photo and place an order below. 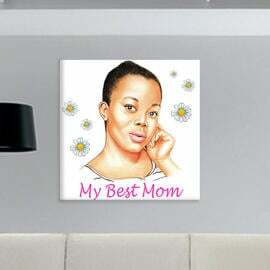 We deliver our products worldwide.